Eat Smart, Move More, Weigh Less can help your employees decrease their risk and costs associated with obesity. 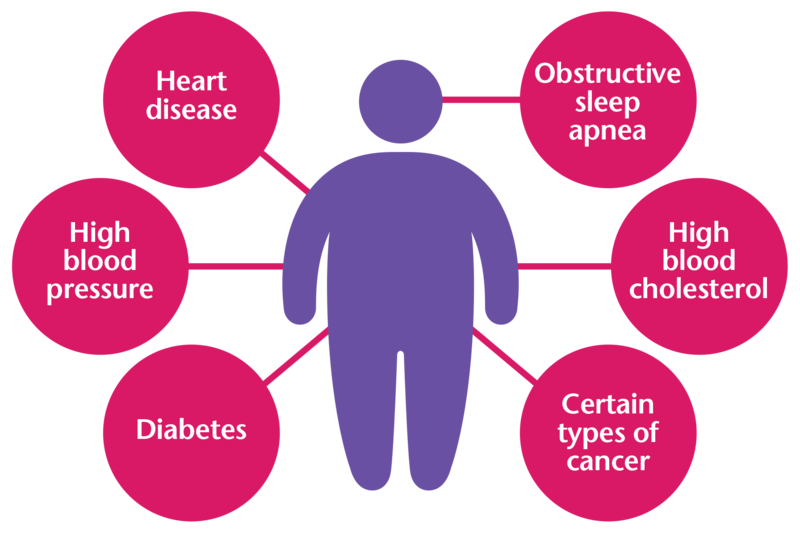 Obesity is linked to the leading causes of preventable death1. New cases of diabetes have increased over the past several years. 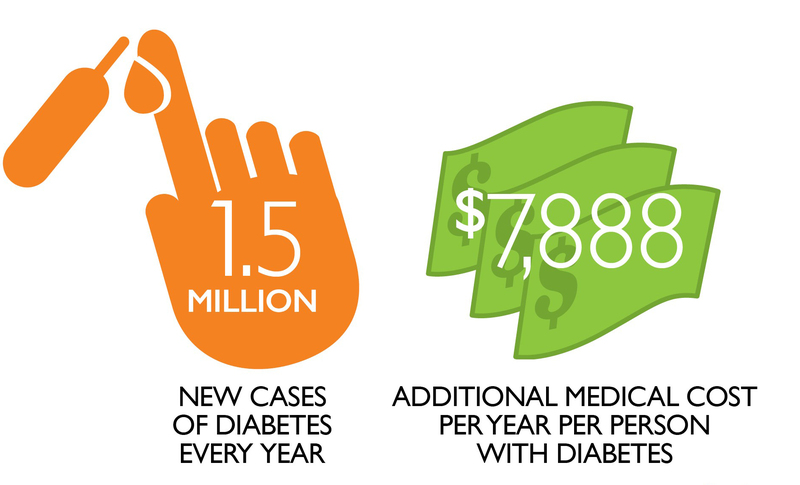 The average medical costs for a person in the United States with diabetes is $7,888 more per year compared to a person without diabetes3,4 . 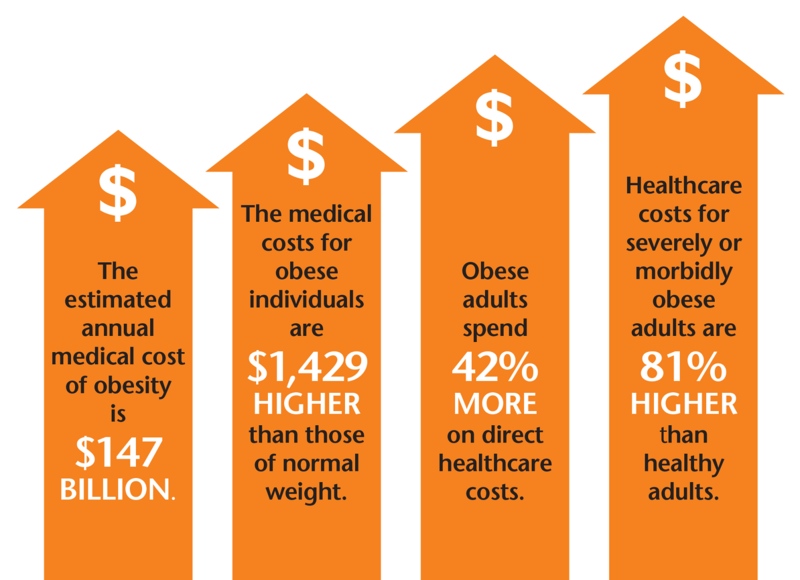 Obesity and it’s associated preventable conditions cost the United States billions of dollars each year5,6. Obesity is associated with job absenteeism, costing approximately $4.3 billion in the United States annually7. 1. Obesity and overweight fact sheet. World Health Organization www.who.int/mediacentre/factsheets/fs311/en Updated June 2016. 2. Overweight and Obesity. National Heart, Lung, and Blood Institute www.nhlbi.nih.gov/health/health-topics/topics/obe Updated February 23, 2017. 3. Statistics about Diabetes. American Diabetes Association www.diabetes.org/diabetes-basics/statistics Updated July 19, 2017. 4. American Diabetes Association. Diabetes Care 2013 April; 36: 1033-1046. care.diabetesjournals.org/content/early/2013/03/05/dc12-2625. 5. Finkelstein EA, Trogdon JG, Cohen JW, Dietz W. Annual Medical Spending Attributable to Obesity: Payer-and Service-Specific Estimates. Health Affairs, 28(5): w822-831, 2009. www.healthaffairs.org/doi/pdf/10.1377/hlthaff.28.5.w822. 6. Arterburn DE, Maciejewski ML, Tsevat J. Impact of morbid obesity on medical expenditures in adults. Int J Obes, 29(3): 334-339, 2005. www.nature.com/articles/0802896.pdf. 7. Cawley J, Rizzo JA, Haas K. Occupation-specific Absenteeism Costs Associated with Obesity and Morbid Obesity. Journal of Occupational and Environmental Medicine, 49(12):1317-24, 2007. www.ncbi.nlm.nih.gov/pubmed/18231079.